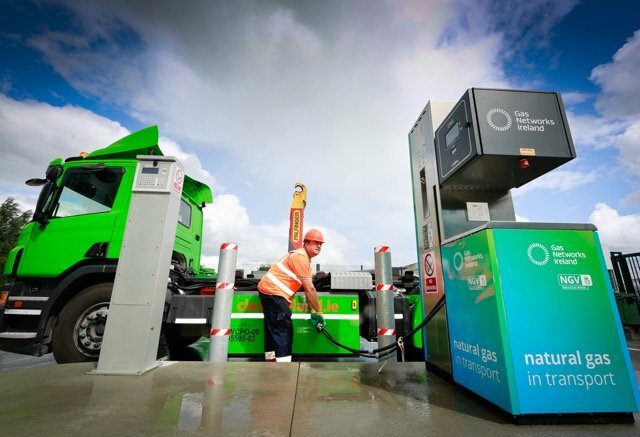 The Irish Government should not penalise the haulage sector for its carbon emissions when environmentally-friendly road transport alternatives are not yet fully viable, according to Freight Transport Association Ireland (FTAI). In reaction to the publication of the Joint Committee on Climate Action’s report, Climate Change: A Cross-Party Consensus for Action, Aidan Flynn, FTAI’s General Manager welcomes the Committee’s focus on transport but calls for collaboration and realistic solutions. “The Government should instead adopt an incremental approach to change. Commercial fleet operators are already burdened by high operational costs and low margins, and while increasing the carbon tax price per tonne up to €80 by 2030 will force change, unilaterally putting this burden onto the HGV, coach and bus fleets will be counterproductive and put operators out of business,” added Aidan. Transport accounts for 20% of emissions in Ireland; 25% of this amount is apportioned to the freight industry. The heavy goods fleet comprises of approx. 80,000 vehicles over 3.5 tonne with an additional 16,000 coaches and buses in operation.